The year was 1891 – President Benjamin Harrison and his wife Caroline were nervous about having the first electric wiring installed at the White House. Electricity in a private home was very rare, and although it seemed dangerous, they agreed to allow the installation. So in May of 1891 Thomas Edison’s company (Edison Electric Company) sent an electrician named Irwin Hoover to perform the installation of wiring in the plaster walls for electric lighting. 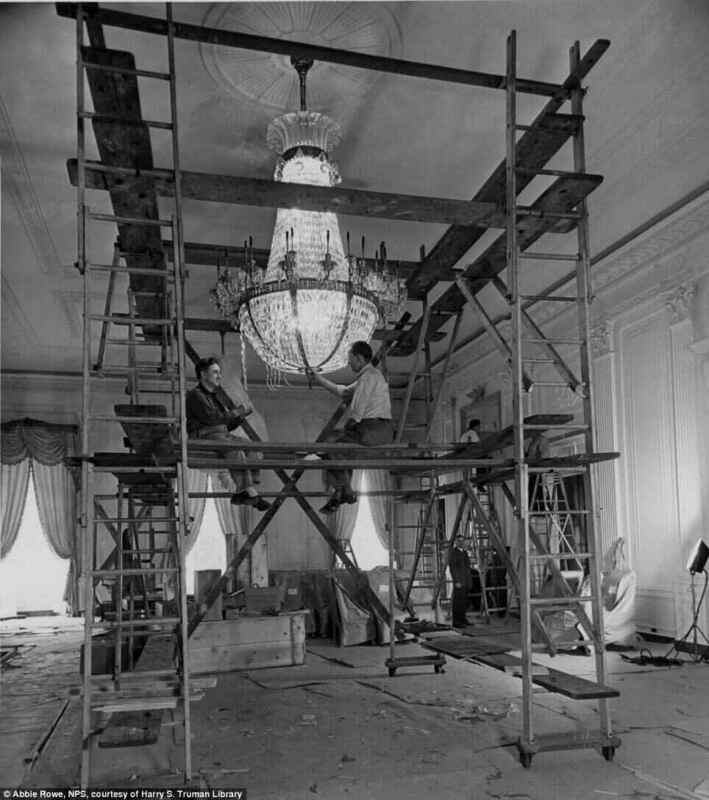 President Harrison and wife Caroline were fearful of touching the round light switches, and they had come to really like their friendly electrician – so after the installation was completed, they asked Mr.Hoover to leave Edison Electric and become the official White House electrician. 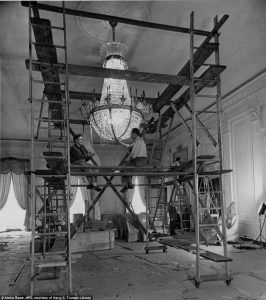 His initial duties were to operate the lights everyday and as the Harrison’s became less fearful, to add additional wiring to the White House. Irwin Hoover was a well organized man who proved to be a valuable, well liked presence in the White House. In 1904, Mr. Hoover was promoted to usher and in 1909 to chief usher where he remained until his death in 1933. It is nice to think that Irwin Hoover’s electrical installation and friendly electrical service blossomed into a 42 year career at the White House.